Choosing a right theme from the start will determines your blog in the future. You need to take time to choose the best WordPress theme for your blog. There are many aspect you need to think about. One of them is SEO optimized. If you were new in this blogging world you probably don’t know what is SEO optimized. Briefly SEO optimized themes is theme that easily read by the search engine and index it easily. Most people in the world use Google, Yahoo or Bing to search what are they looking for, and you want your blog easily get indexed by this major search engines. Pick the theme that related for your niche blog/business. For example if your blog is about sports then choose a themes that related to sport. So people know what is your blog about. People says a picture means a thousand words. Choosing the right design and right graphics for your themes and the most important is the most you like. Take times to find the right themes for you. And if you really need a unique themes, hire a professional web design. Your blog design or themes will be your identity in the future. Everybody like beautiful, neat and nice design. But beautiful doesn’t mean that your blog full of animation and images. Always looking for a themes that simple but look nice. And remember, page load time is one of the SEO aspect. Find a theme that have been optimized for SEO. Before you use your theme, make sure that you check it in another browsers. I have write in my previous article about some tools that you can use to check your themes browser compatibility. Change theme will effect your search engine position. It will take time for search engine to re-index your content since different layout means different content. So be careful when choosing your theme, if necessary don’t change the theme at all. You can change it one by one, but still have the same layout. Why you should use unique theme? Your theme is your identity, so buying a premium or special designed theme will be good for you in the future. Or if you know a little about web design and php stuff, try to make one, it would be fun. I made this blog theme by myself. It’s not perfect but i like it. Before you decided to use a theme, please fully test it. And after use it a while, always test it and keep research and improve it. Find a way to keep optimize it. 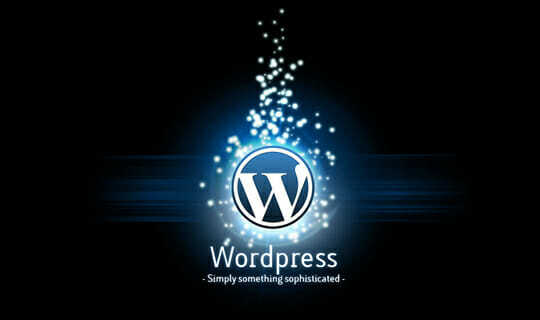 There are many articles out there that can help you to improve your WordPress blog. In the end, keep update your skills. Learn a basic programming and design, and have fun with your blog.